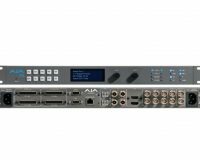 Now you can route your computer monitor via your SDI router! 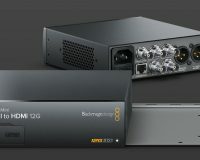 The Blackmagic HDLEXT-DVI DVI Extender lets you can extend the DVI-D connection to your computer monitor via simple SDI cables! 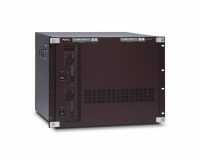 Now it’s much easier to connect your computer displays anywhere in your facility, or even to more than one monitor when using any 3 Gb/s SDI router. 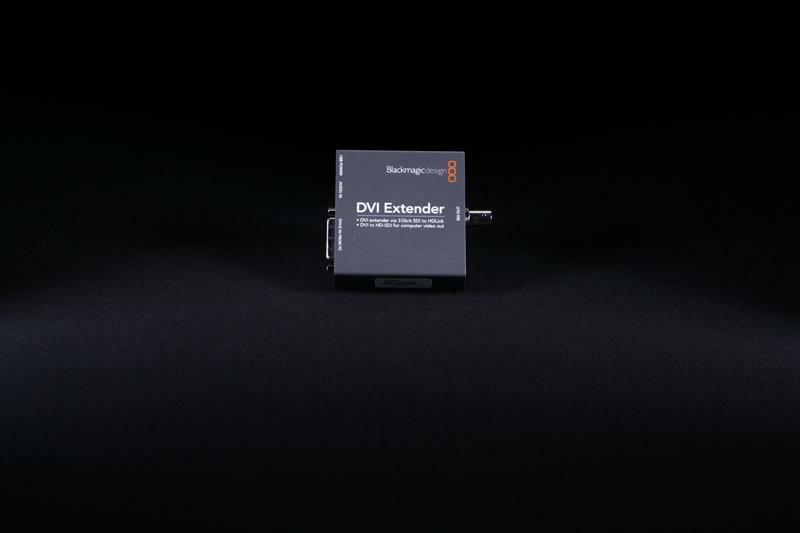 DVI Extender also works as a regular DVI to SD/HD-SDI video converter, that’s perfect for broadcast graphics! DVI Extender includes a standard 3.5mm audio mini jack input so you can connect audio from your computer! That means you get full 3D accelerated graphics and audio from your computer to SDI. 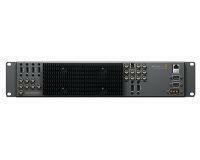 That’s a perfect solution for digital signage, Flash playback, PowerPoint, gaming and more! 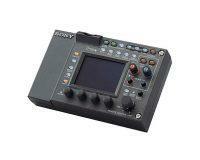 Now any software can be output to crystal clear SDI video! 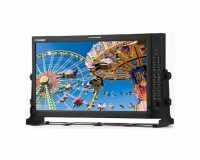 With DVI Extender, you can harness your computer’s built in 3D accelerated display to create realtime broadcast graphics in standard definition and high definition video. 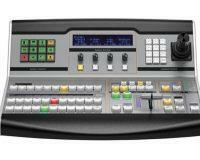 Simply set the control panel to Video Output and DVI extender will output NTSC, PAL, 720 HD or 1080 HD resolution SDI video with embedded audio from your computer via the audio input jack. 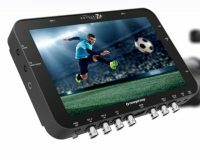 The latest 3 Gb/s SDI technology is built into DVI Extender, making it fully compatible with all of your SD and HD-SDI equipment. 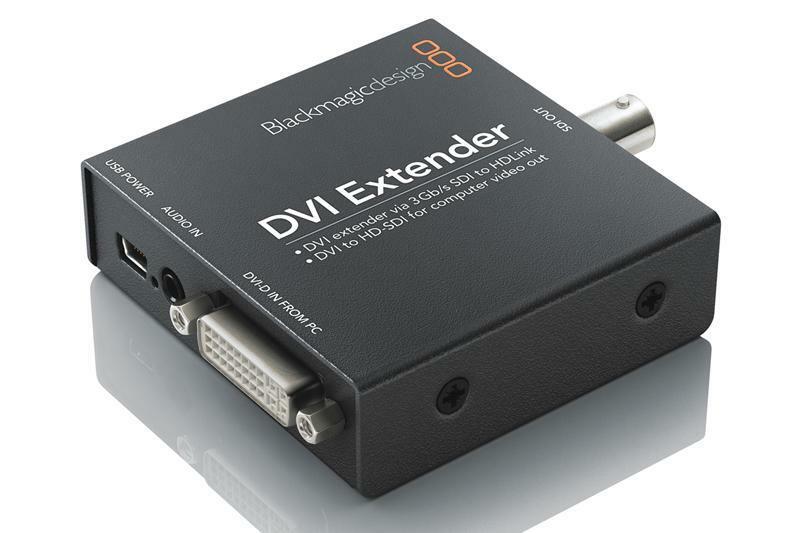 With 3 Gb/s SDI you know that DVI Extender will be fully compatible with new video formats in the future! Adding new formats is easy, as they can be loaded via DVI Extender’s USB connection. 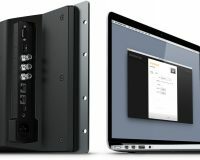 Unlike older scan converters, DVI Extender is a fully digital converter that connects the DVI-D output on your computer to SDI equipment such as HDLink Pro. 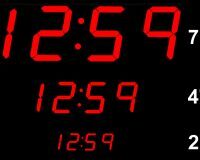 That’s a direct pixel-for-pixel digital connection to SDI, which is the highest quality possible and eliminates all scaling problems! DVI Extender does not need messy power supplies because it connects directly to any USB port on your computer. That’s ideal for portable use, because DVI Extender can be powered directly from your laptop. Or you could even use a portable iPod USB power supply!